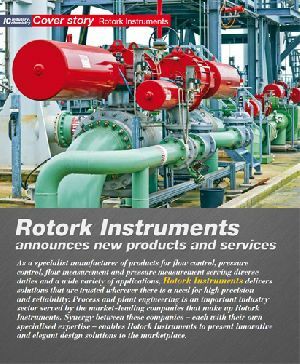 As a specialist manufacturer of products for flow control, pressure control, flow measurement and pressure measurement serving diverse duties and a wide variety of applications, Rotork Instruments delivers solutions that are trusted wherever there is a need for high precision and reliability. Process and plant engineering is an important industry sector served by the market-leading companies that make up Rotork Instruments. Synergy between these companies – each with their own specialised expertise – enables Rotork Instruments to present innovative and elegant design solutions to the marketplace.